Click on the photos to link to online class information. Stitcher's Quest will be closed Saturday, May 27 through Monday, May 29 for Memorial Day Weekend. $10 per session or included if you signed up for the series. Spend a day creating a quilt top of this block that resembles frozen icy treats! From the book "Strip Smart Quilts" by Kathy Brown. This beginning garment class is perfect for the teen or young adult to learn sewing skills. We will spend the day creating a t-shirt from Pattern GS11002 or JAL2918. Students will need to purchase a pattern and fabric prior to first day of class and are required to bring basic sewing supplies and thread (check website or call for list). You are not required to purchase tools or supplies from Stitcher's Quest. However, supplies purchased for a class receive a 10% discount and we do have a basic tool kit available for purchase. Teen Challenge will use student machines provided by Stitcher's Quest. The class will break at noon for approximately 30 minutes lunch time. This adorable baby blanket can be made out of quilt-weight cotton or flannel. We will be offering the Sew Steady rulerwork class again, beginning in June. This is a 10-week course and you will be creating blocks using the quilt-as-you-go method. A pre-loaded usb thumb drive is included. Register early, pick up your thumb drive, and watch the first lesson prior to start of classes. This beginning garment class is perfect for the teen or young adult to learn sewing skills. We will spend two days creating PJ pants and top from Pattern SWTG8 or TLP4048. Students will need to purchase a pattern and fabric prior to first day of class and are required to bring basic sewing supplies and thread (see website or contact store for list). You are not required to purchase tools or supplies from Stitcher's Quest. However, supplies purchased for a class receive a 10% discount and we do have a basic tool kit available for purchase. Teen Challenge will use student machines provided by Stitcher's Quest. The class will break at noon for approximately 30 minutes lunch time. Approximately 18.5" x 12" x 7", the Tourist Tote Bag will keep you in style all summer! The simple construction is suitable for beginner to advanced. 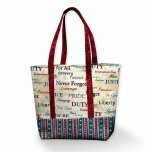 Our sample tote is patriotic in honor of the summer holiday's. Choose similar fabrics or make yours unique! Stitcher's Quest hosts an open sew day for unfinished projects on the fourth Thursday of each month. Bring your machine, supplies, and be ready to socialize! We'll provide beverages. Bring a dish if you'd like to share for our side table. Our summer sewing days are designed to encourage and inspire youth in crafting and creating with a sewing machine. Each class will develop sewing skills and knowledge of the sewing machine. The series will be on Fridays and total six classes that have individual registration. Students will need to bring basic sewing tools and thread (see list). Fabric and supply kits are provided. Prices of the classes reflect the materials supplied. A pizza lunch is included. Seating is limited due to staff and space limitations. Bring your choice of towels (2) - low pile works best - we will have stabilizer and fabric scraps for the applique. Bring your own embroidery machine, a selection of thread, and basic sewing/embroidery tools. Boho Bliss is a unique Block of the Month series with a distinct bohemian flair. Each 16" block features a combination of pieced blocks and appliqued motifs (no worries - maintain your blissful state with fused applique!). Each block is different, so you can pick and choose your favorite motifs, or do them all! 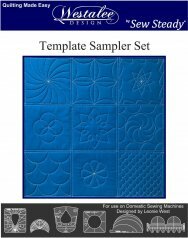 A spacer and border pattern complete the series for a quilt that makes a statement! Cost: FREE - Purchase of Kit includes scheduled classes. Kit purchases after series start date do not qualify for make-up classes. This beginning garment class is perfect for the teen or young adult to learn sewing skills. We will spend three days creating a dress from Pattern SD 141 (an optional pattern will be offered for male students). Students will need to purchase a pattern and fabric prior to first day of class and are required to bring basic sewing supplies and thread (see website or contact store for list). You are not required to purchase tools or supplies from Stitcher's Quest. However, supplies purchased for a class receive a 10% discount and we do have a basic tool kit available for purchase. Contact store for a complete supply list. Teen Challenge will use student machines provided by Stitcher's Quest. The class will break at noon for approximately 30 minutes lunch time.